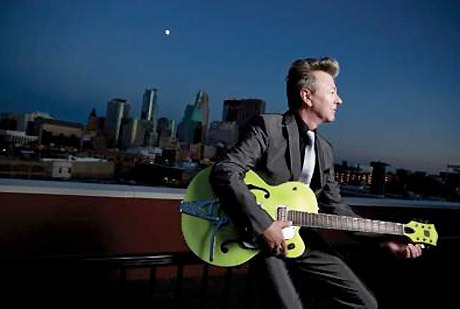 Last night (December 14), rockabilly veteran Brian Setzer was rushed to hospital after collapsing shortly into a concert in Albuquerque, NM. According to a report by the Associated Press, the ex-Stray Cat led his band, the Brian Setzer Orchestra, through three Christmas songs before he left the stage and did not return. An announcer came out on stage soon after and informed the crowd that Setzer had been taken to hospital. According to TMZ, Setzer collapsed as soon as he left the stage. Although the cause of Setzer's collapse is unknown, the fact that he was taken to the Heart Hospital of New Mexico suggests that it was likely due to a heart condition. However, fans need not worry too much about the singer's well-being; he has already been discharged, and tonight's show in Phoenix, AZ is currently scheduled to go ahead as planned.